The Statue of Liberty, Central Park, the Empire State building and the ‘always on’ Times Square. The bewildering array of iconic New York sights and sounds may seem endless, but there are some truly amazing places within easy reach and it’s well worth taking the time away from the buzz of Manhattan to experience some of them. The following guide highlights the best day trips from the Big Apple, all of which are sure to add to your NYC experience. Situated just across Manhattan’s East River, iconic Brooklyn is easily accessible from the city. The most traditional way to reach Brooklyn is of course to stroll either the Manhattan or Brooklyn Bridges, taking in the amazing views of the downtown skyline along the way - it has to be said however, that the Brooklyn Bridge does offer the better photo opportunities of the two. Alternatively, take to the water on an East River Ferry, operating to several of the borough’s vibrant neighbourhoods, whilst enjoying a bonus skyline cruise along the way. Ferry services operate from both midtown and downtown piers. You can of course always take the Subway, running under the East River and into the heart of Brooklyn’s many key districts and destinations. DUMBO (Down under the Manhattan Bridge Overpass) as the name might suggest is located on the water’s edge and comprises a vibrant area made up of converted warehouses, quirky shops and amazing restaurants. Head to the junction of Washington and Water Street for one of the most iconic views in New York, back across the river, taking in the Brooklyn Bridge itself and close by where you find the beautifully restored 1920’s Jane’s Carousel. 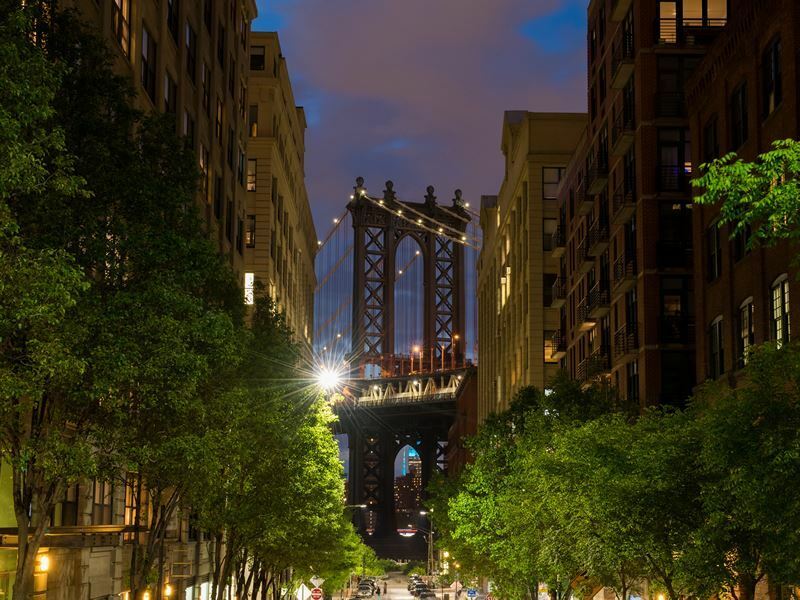 Just North of DUMBO lies the trendy district of Williamsburg, offering a dazzling mix of eclectic storefronts, trendy cafes and buzzing restaurants. Everywhere here you’ll find buildings adorned with fascinating street art and murals. The many rooftop bars that have sprung up, in and around the waterfront area, also offer spectacular Manhattan skyline viewing. Just to the south of DUMBO you’ll experience some serious real-estate envy in Brooklyn Heights. 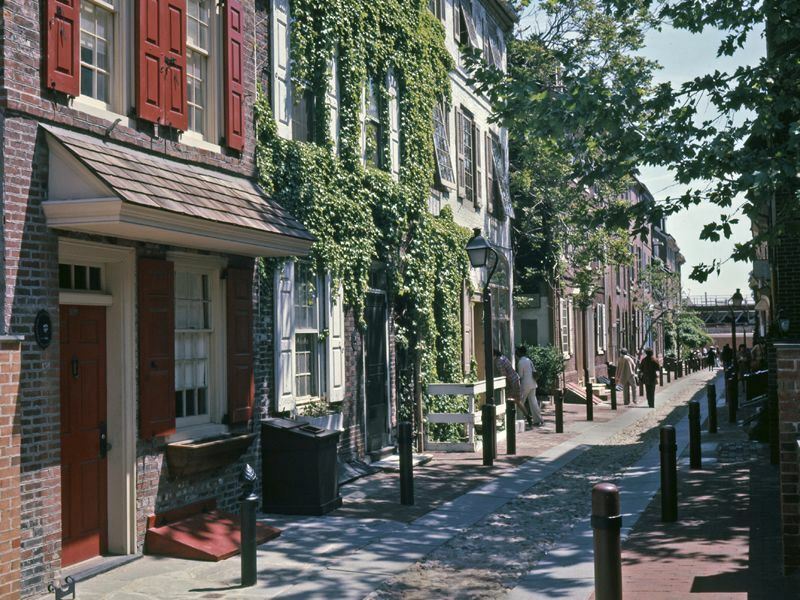 All around, charming tree-lined streets showcase beautifully restored row houses. Here you’ll also find Brooklyn Bridge Park which sits at the end of the Brooklyn Heights promenade offering yet more killer views back across the river over the Manhattan skyline. Head away from the river and you’ll encounter Prospect Park, a nearly 600acre area of green space where you can relax and explore. Long Meadow and The Audubon Center are highlights and you can also grab a tasty bite from one of over 100 local vendors at Smorgasburg. Another area worth exploring is Redhook, with its mosaic of shipping yards, historic warehouses and laid-back village feel whilst the seaside playground of Coney Island boasts its renowned funfair and entertainment areas. Whichever way you choose to spend your time in Brooklyn it’s well worth the effort to take the short trip across the river. Want to escape the hustle and bustle of Manhattan for the day? Then head out to the pristine beach destination of Fire Island. Sitting just off the southern coast of Long Island, Fire Island comprises 32 miles of dazzling white beaches. Cars are not permitted to drive on the Island and only two access bridges, one at each end of this quarter-of-a-mile wide barrier island. This said, probably the best way to reach the island is by train from Penn Station, out to Bay Shore in just over an hour where you can then catch a ferry to Kismet which takes a further 25 minutes. Stroll along the scenic boardwalks across dunes and onto the expansive windswept beaches. Follow this with lunch at one of the several fine eateries dotted along the coast. You can also easily access the various spots along the island by water taxi and for a super photo op head for the Fire Island Lighthouse situated on the Eastern end of the barrier island. 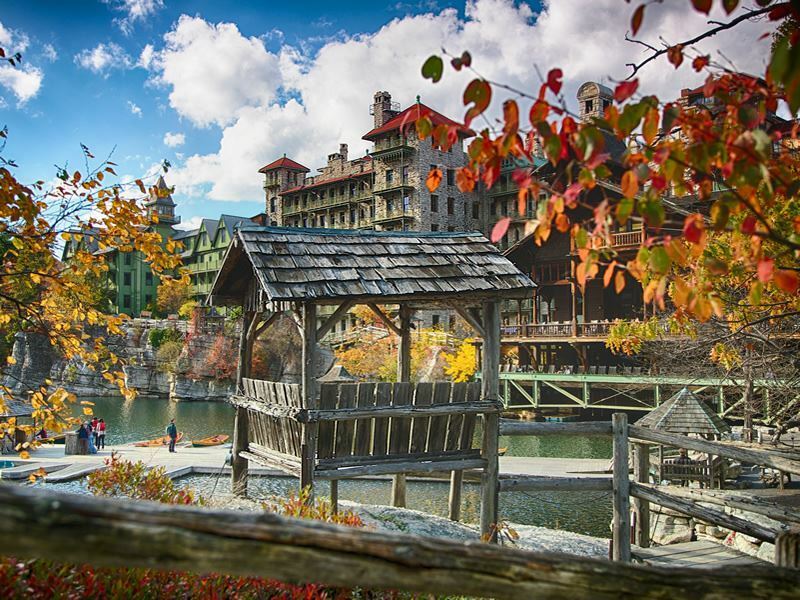 Looking for a great getaway from the Manhattan crowds? Just over two hours ride from downtown you’ll find the upscale and moneyed seaside towns of The Hamptons. Here you’ll find yourself immersed in this unique coastal community renowned for its famous light beloved of artists worldwide. Punctuated with its famous shingled windmills, dramatic dunes and boxwood hedges, this area is renowned for its residences of the rich and famous. Some of the historic home are now available to tour, such as the Pollack-Krasner House and Study Center or the Longhouse Reserve. The Hamptons offer a dazzling collection of high-end boutiques, laid-back and fine dining outlets along with a wide selection of beachside activities such as surfing, paddle boarding or cycling the many dune trails. 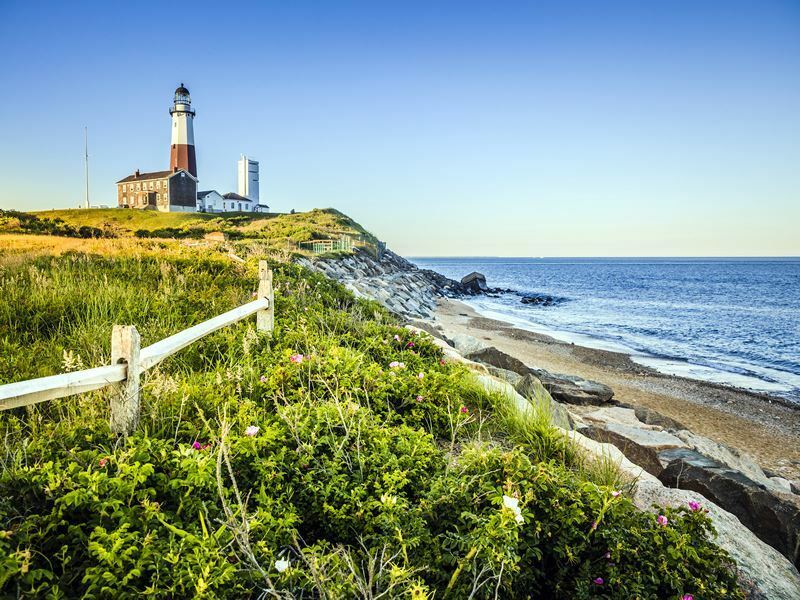 A little further east along the coast you’ll find the sleepy village of Montauk, sitting on the edge of the most easterly point on the Long Island peninsula. This quaint hamlet is known for its magnificent white sandy beaches, miles of hiking trails and the historic 18th Century Montauk Point Lighthouse. 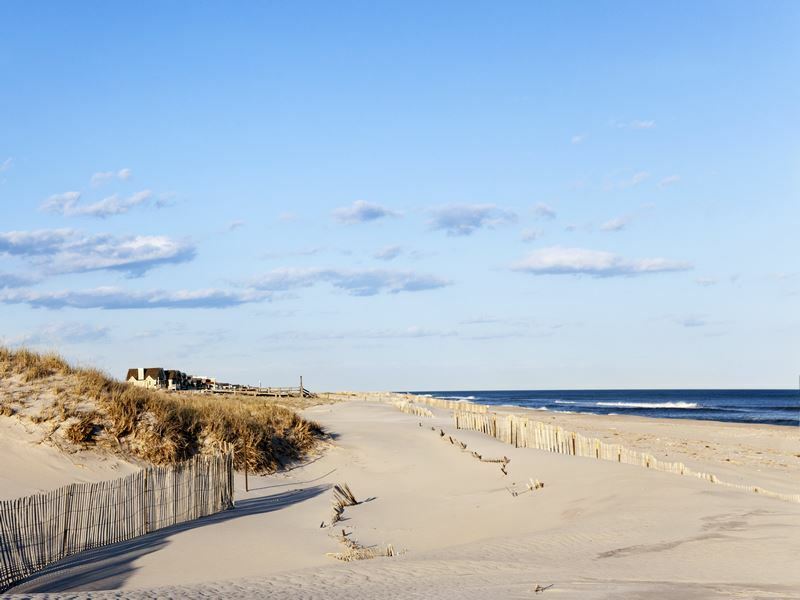 To fully experience all that The Hamptons and Montauk have to offer it’s worth thinking about making an overnight stay at one of the area’s many characterful properties. 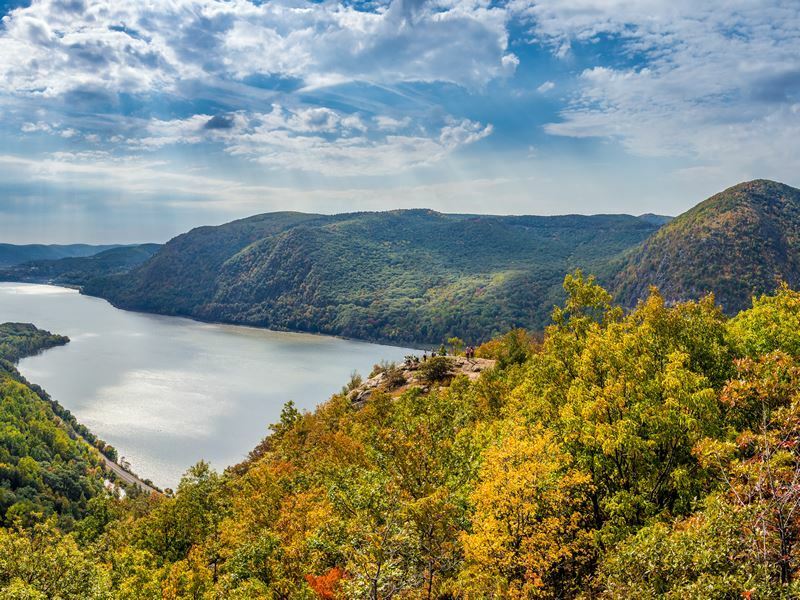 A great destination in its own right, the Hudson Valley also offer great day trips from the hustle and bustle of the Big Apple. Running along the Hudson River just north of New York up through to the state capital of Albany, the valley is steeped in history, with leafy drives, plenty of culture and an abundance of super farm-to-table eateries. 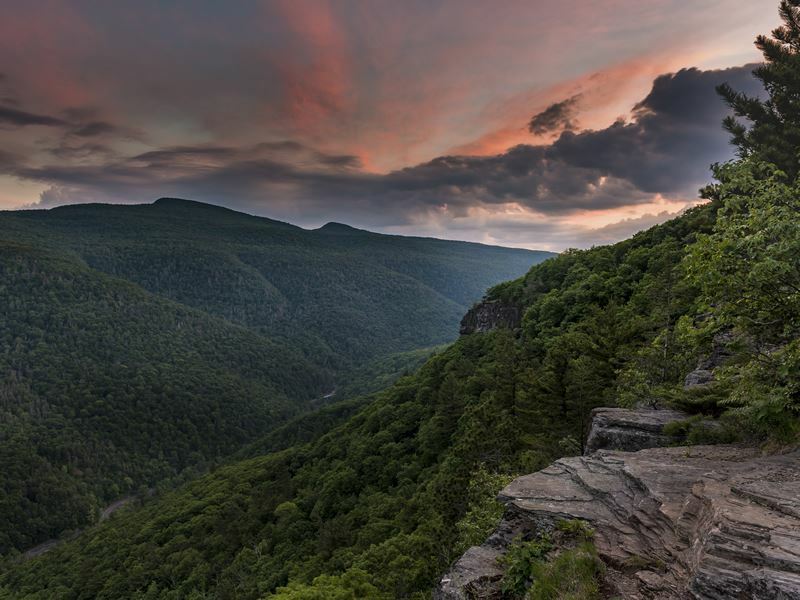 For more active travellers, the hugely popular hike of Breakneck Ridge lies under an hour and a half’s drive from Manhattan. The hike offers truly spectacular overlooks views and overlooks of the Hudson Highlands and back down the river. This is a challenging hike, so best for experienced hikers who have the correct attire and footwear. For a lesser arduous hike but still offering great views, head for Bull Hill around a mile away. As an alternative to the car you can hop a train from Grand Central out to Cold Springs station where you’ll find the trailhead itself. Just over two hours drive from Manhattan, or slightly longer by train, sits the vibrant riverfront town of Hudson, NY. A favourite getaway for residents of Brooklyn and Manhattanites alike, this highly walkable city showcases a stunning blend of Nantucket and Federal style buildings along with and array of rambling Victorian homes. Hudson is a city of shopkeepers and its eclectic shopfronts with an abundance of antique stores, coffee shops and farm-to-table bistros. Be sure to head for the waters edge and take in or head out to the iconic mid river Hudson Athens lighthouse. Set on the Hudson river, New York’s state capital sits under three hours from Manhattan and as you would expect is steeped in a deep-rooted heritage and history. The centre of the city is dominated by a network of buildings including the beautiful Romanesque State Capitol Building, New York State Museum and the oval shaped performing arts ‘Egg’ center. 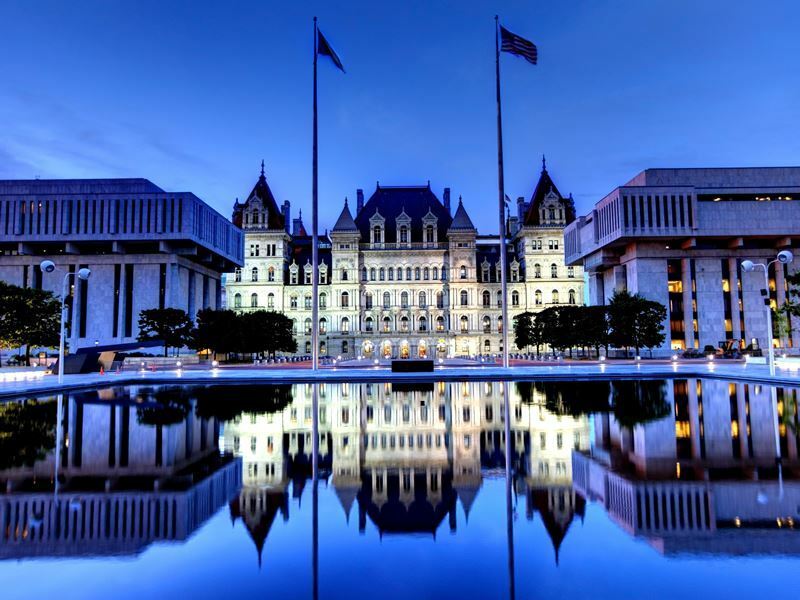 Encircling the complex is the sprawling Empire State Plaza with its breathtaking reflecting pools. The Albany Institute of History and Art showcases amazing displays and exhibits over several floors and is the city’s pre-eminent museum. 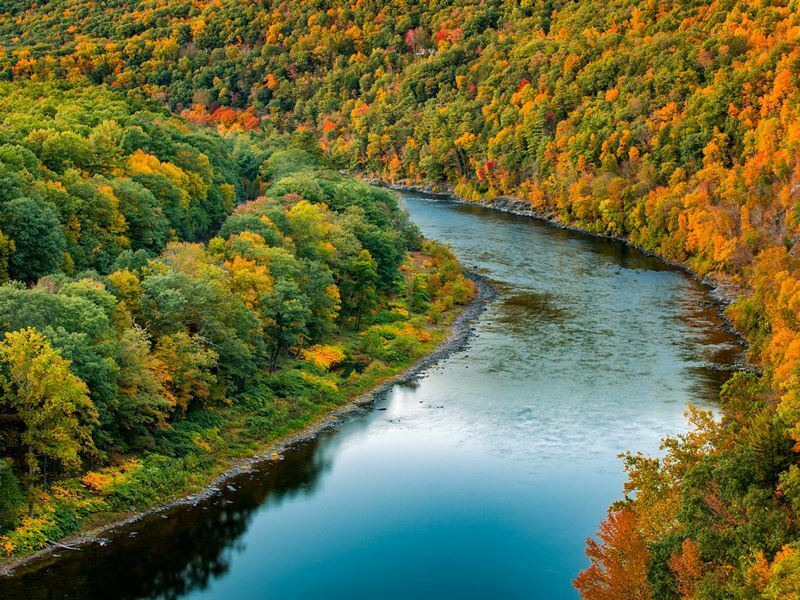 For an authentic and thrilling outdoor experience it will take just under three hours from Manhattan to reach the Catskill Mountains, America’s original frontier and home to a strong revolutionary battle field past. Rafting, kayaking and mountain biking are all on offer in this natural playground. Nestled into the myriad mountainside towns and villages are sumptuous bistro and bars catering for all palates and tastes. For those looking for an extended stay you’ll have an amazing selection of world-class resorts and quaint B7B’s to choose from. Not exactly a day trip from Manhattan, but well worth a stopover on your way up to Niagara Falls, is the vibrant college town of Ithaca. Home to the renowned Ivey League Cornell University, Ithaca bustles with students, locals and visitors alike. 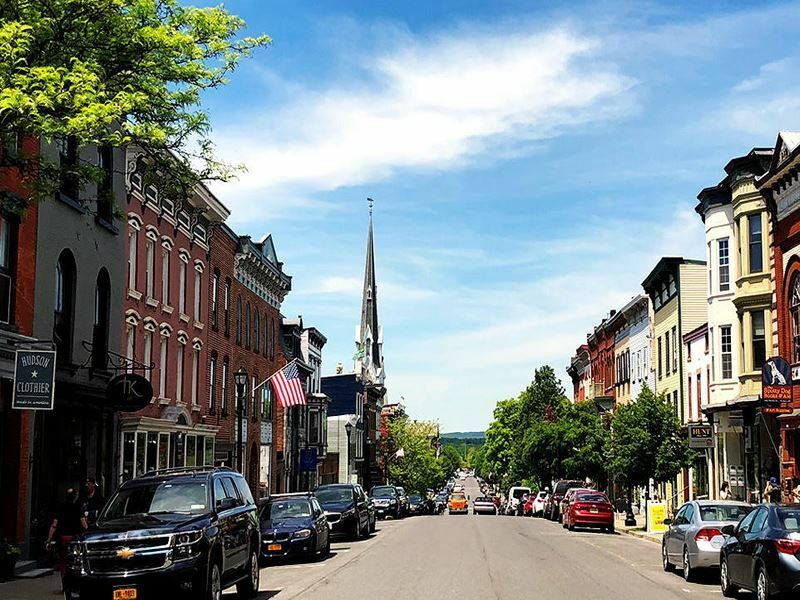 Head downtown to the lively four-block, pedestrian only Ithaca Commons area - alive with a dazzling array of buzzing ale houses, farm to fork bistros and quaint antique stores. Added to this is a multitude of eclectic shops and store, ideal for an afternoon’s browsing. 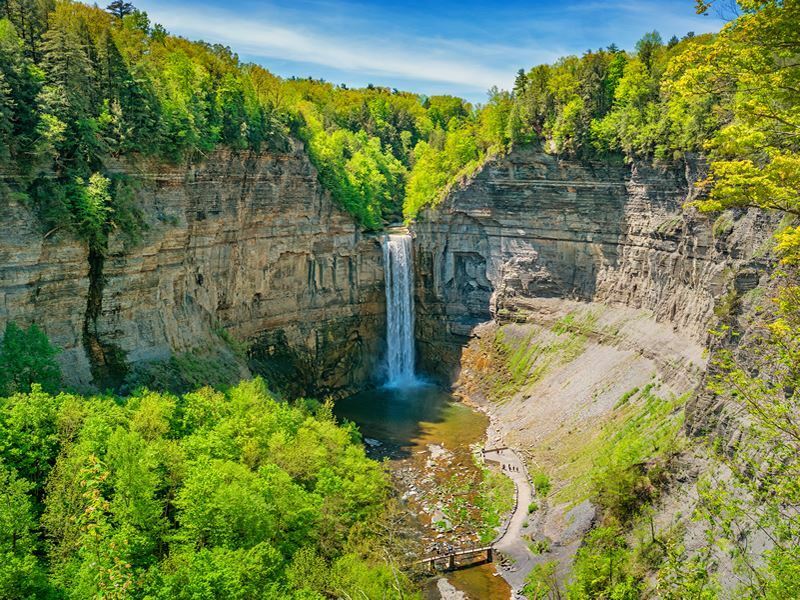 Outside of the town itself are several stunning gorges and waterfalls – Taughannock Falls State Park, Triphammer and Buttermilk Falls are all a must see. Stroll the beautifully scenic Cascadilla Gorge Trail from downtown Ithaca to Cornell University. Just over an hour south from Manhattan your find an array of historic and characterful New Jersey waterside communities dotted along the Delaware River. It is here that General Washington crossed during the Revolutionary War and a series of landmarks and parks pay homage to the area’s proud history. Milford’s charming Main Street offers quaint shops and eateries whilst just three miles further along the river you’ll find Frenchtown, start of the Delaware Scenic Byway, with its bustling historic district, awash with its antique shops and art galleries. Further still is the inviting waterfront town of Lambertville with its attractive downtown area and nearby rural experiences. 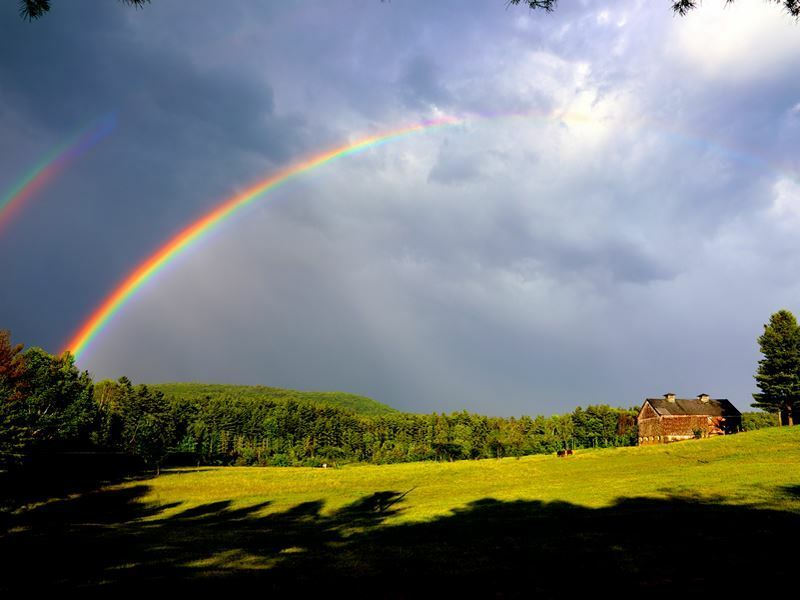 Howell Living Farm, the Holcombe-Jamison Farmstead Museum and Prallsville Mills are just a few of the must-see attractions. Titusville and Trenton round out the Delaware river experience with the Washington Crossing Historic State Park and New Jersey State Museum offer historic insights to the town’s respective history. Just two hours drive south from Manhattan, on your way to Washington DC, be sure to add a stopover in Philadelphia, capital and largest city in the Commonwealth of Pennsylvania. This city is awash with a rich history and boasts iconic landmarks and attractions such as the Liberty Bell, Independence Hall and the Benjamin Franklin Parkway, brimming with truly top-class museums and institutes. Make your way to the corner of South 9th Street and Passyunk Avenue to sample a delicious Philly Cheesesteak, without doubt the city’s most famous food. Set on the famous ‘cheesesteak corner’, rival outlets Geno’s Steak and Pat’s King of Steaks provide an iconic Philly experience. Why not consider taking in one of these great stopovers on a trip up to Boston as part of a sensational east coast city twin centre. 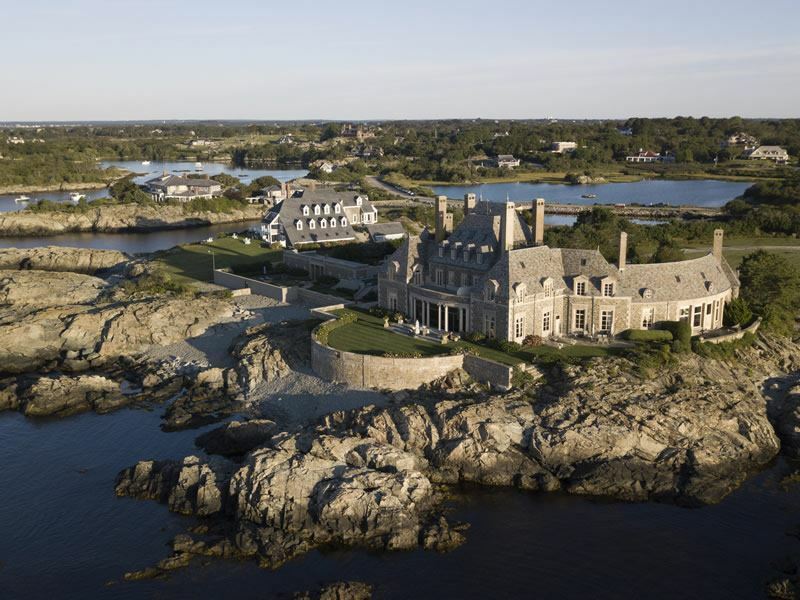 Heading up towards Boston from NYC, along the Connecticut coast, you’ll reach the charming maritime city of Newport, Rhode Island. This attractive coastal community is characterized by its picturesque harbour, array of pretty white yachts, iconic lighthouse and beautifully set waterfront restaurants. Newport is also renowned for its amazing architecture - mansions set high on cliff tops with amazing views out over the ocean. The perfect way to experience the best that Newport offers is by taking a trolley tour which can include entrance to many of the key attractions. For the slightly more energetic visitor, cycling is another great option for exploring the key sites of Newport. Highlights include; The Breakers on Ochre Point Avenue, set in the renowned Bellevue Avenue Historic District – a stunning former Vanderbilt mansion that is now a National Historic Landmark and is also the most visited attraction in Rhode Island; Castle Hill Light House – this iconic landmark is not open to the public but can be viewed from the adjacent grounds of the Castle Hill Inn & Resort and make for a great photo opportunity; Brenton Point State Park – Set amid the former grounds of one of Newport's grandest estates, Brenton Point State Park affords its visitors one of the most commanding and spectacular views on the East Coast; Newport Cliff Walk – for a more adventurous activity, parallel to Newport’s eastern shore is the Newport Cliff Walk with a 3.5 mile trail that offers spectacular ocean views adjacent to some of the city’s finest mansions and homes. 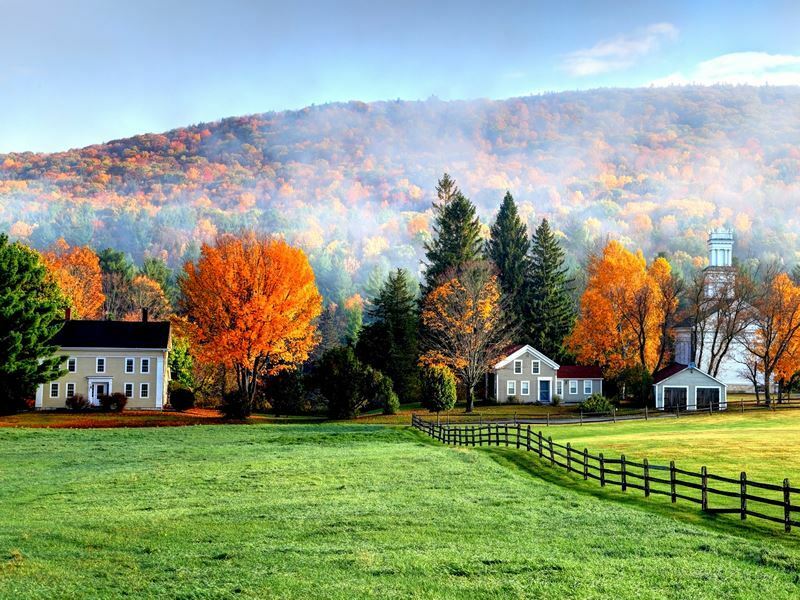 Travelling between New York and Boston and set in the western mountains of Massachusetts you’ll enter the Berkshires; known for their combination of gently rolling hills, fall foliage, and array of charming small towns and villages. Tucked into the Berkshire hills halfway between New York and Boston, Stockbridge, MA maintains is iconic thoroughfare, immortalized by Norman Rockwell’s famous painting - ‘Mainstreet at Christmas’. Enjoy outstanding food and genuine New England hospitality with lunch at the famous ‘Red Lion Inn’ first established in 1773. No visit to Stockbridge is complete without visiting The Norman Rockwell Museum, whose current site was established in 1993. Rockwell, the town’s most famous resident lived in Stockbridge between 1953 until his death in 1978. The museum house the largest collection of Norman Rockwell original art in the world. 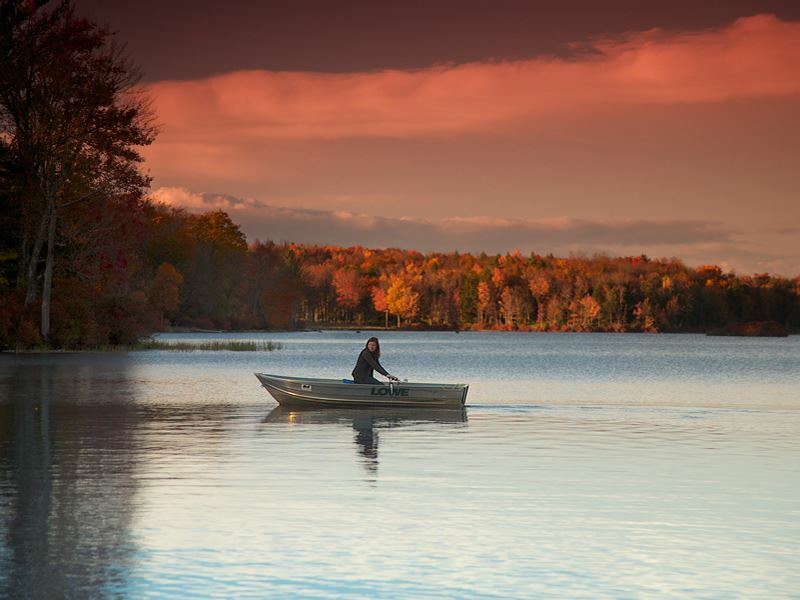 Other highlights include the fascinating Berkshire Botanical garden, the renowned Tanglewood theatre - home to the Boston Symphony’s summer academy and stunningly beautiful Naumkeag – one of the few Berkshire cottages open to the public.